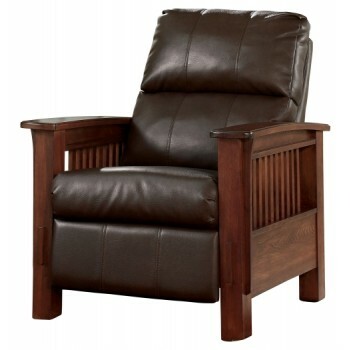 For those on a mission to recline in high style, this high-leg recliner foots the bill. Ruggedly handsome—with a rustic finish, bustle-back plushness and the look of high-grain leather upholstery—this faux leather upholstered piece masters the art of mission-style design. Have the pleasure of reclining without the distraction of a lever or knob.